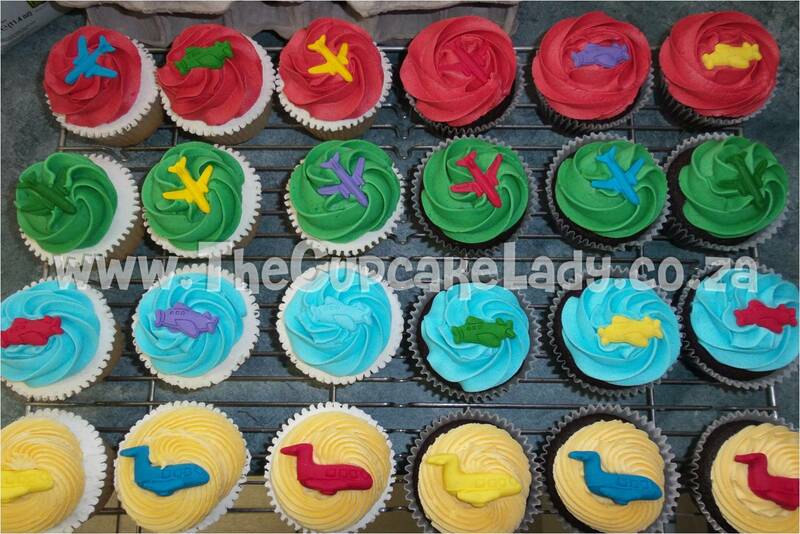 Sally ordered a cake topper for her son’s birthday cake – which she baked herself – and a batch of cupcakes with little moulded sugar paste airplanes on them. 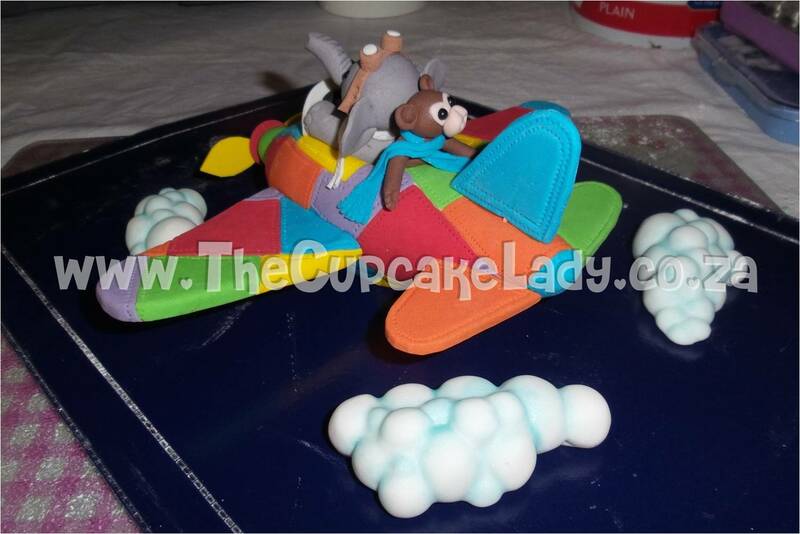 The airplane cake topper is hand made by me, with sugar paste and a few thin dowels for structural support. It was quite big, to fit on top of a 9″ cake, and when I finished it I thought it needed some clouds as well. The body and wings of the plane were shaped from white sugar paste which I then covered with the brightly coloured patchwork squares. 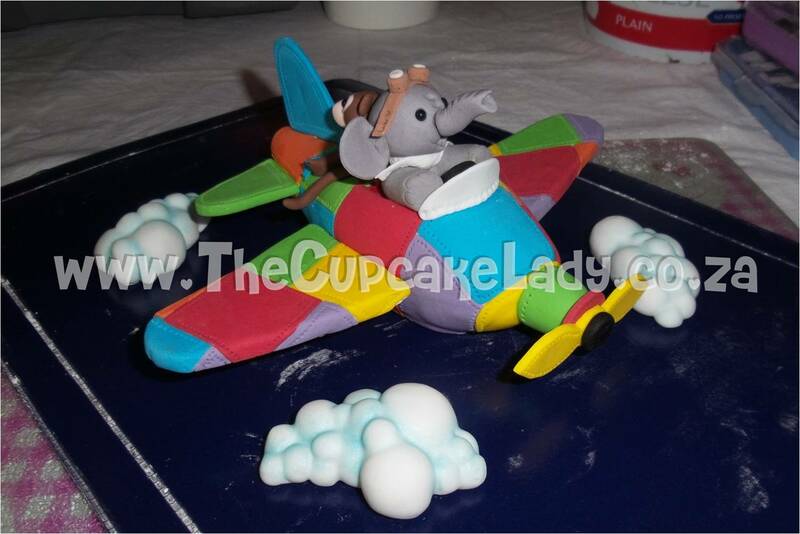 The pilot is an elephant and there’s a monkey sitting behind him.